Neil Campbell (1678-1761) was the University's Principal from 1728 until his death in 1761. After studying Divinity at the University in the 1690s, Campbell became a minister. He was related to John Campbell, 2nd Earl of Argyll and his brother Archibald, Lord Ilay, and they put his name forward for the post of Principal in 1728. Campbell became involved in a number of controversies. 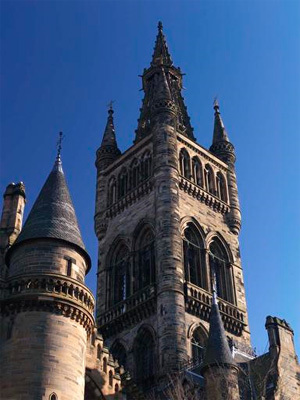 He attempted unsuccessfully to defend John Simson, Professor of Divinity, from charges of heresy brought by the General Assembly of the Church of Scotland, and had to take some of Simson's teaching duties when the professor was prohibited from preaching and teaching. He also became embroiled in disputes with Francis Hutcheson, the Professor of Moral Philosophy, who professed a more liberal form of Presbyterianism than did the evangelical Campbell. Campbell was Moderator of the General Assembly of the Church of Scotland in 1732 and 1737, and was appointed Royal Chaplain in 1734. His son Duncan had a colourful career: his company was employed to ship convicted criminals to North America and transported the first convicts to Australia. Duncan Campbell also sold his ship Bethia to the Royal Navy: it was renamed the Bounty and became famous as the scene of the famous mutiny in 1789.